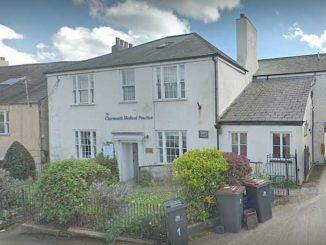 FEELINGS were running high among parents of young children in the Anning Road area of Lyme Regis earlier this week after a four-year-old boy found a sachet of pills believed to be recreational drugs. It was the latest in a saga of events which led to residents urging the council to remove the teen shelter in the Anning Road playing field because of obvious drug dealing and anti-social behaviour. The council decided to remove the shelter but no immediate action was taken and now a rescinding motion, reversing that decision, will go before the council on October 31. 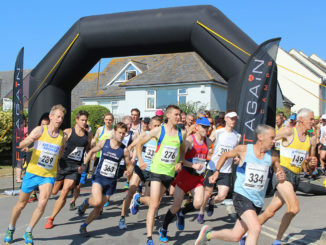 The motion is been put forward by Councillor Cheryl Reynolds and signed by five other members, the required number to reverse a decision – Michaela Ellis, Steve Miller, Richard Doney, John Broom and Sean Larcombe. Their argument is that moving the teen shelter, or doing away with it completely, will only result in moving the problem elsewhere in the town. They believe it will be better to work with the police to solve the problem. They have also agreed to erect close circuit television in the playing field. But parents have little faith in the police being able to make any appreciable difference because of their lack of resources in Dorset. 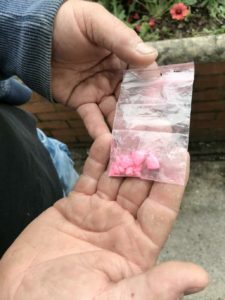 The sachet of pink pills was found by four-year-old Noah Turner who thought they were sweets but sensibly handed them to his mum and dad, Virgil Turner, and mum Hannah Moses. Mr Turner has been at the forefront of trying to stop the anti-social behaviour at the teen shelter and has suffered continual abuse and threats when confronting the culprits. He alleged he was recently assaulted and last week had fireworks thrown at him. After the suspected drugs were found by his son, Mr Turner called the police but was told there was no one was available to visit the scene. 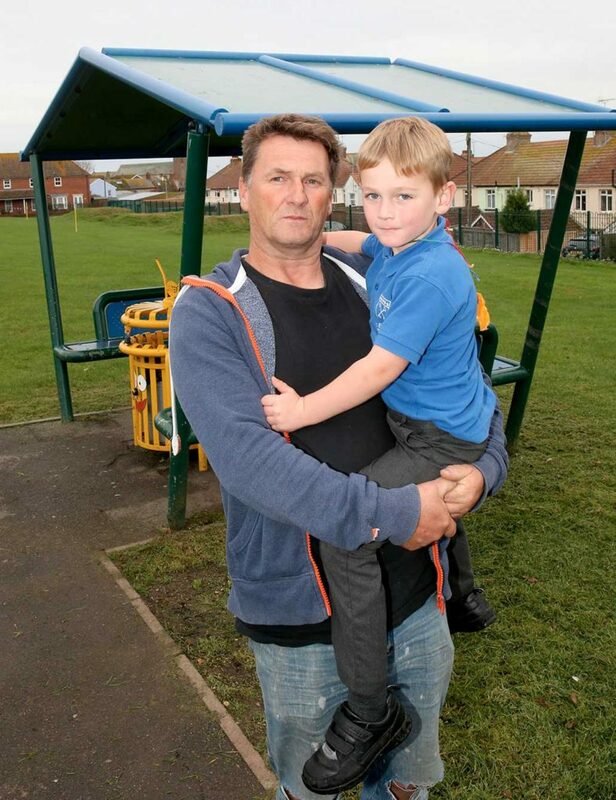 Other parents have expressed their concern about a growing drugs problem in Lyme Regis. One parent who did not wish to give her name for fear of retribution, told this newspaper: “We know drug dealing is going on in the teen shelter. We know who they are and so do the police but nothing seems to happen. 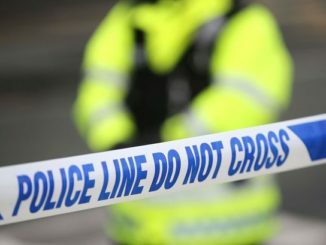 Dorset Police said they are “committed to tackling anti-social behaviour” and will always act of information about the mis-use of drugs or drug dealing. They said the investigation into the drug found by Noah was “ongoing”. Residents plan to attend the council meeting on October 31 to reinforce their argument. unbelievable news. What will the Mayor do?